All Glass Entrance Door Systems complete, assembled ready to install! 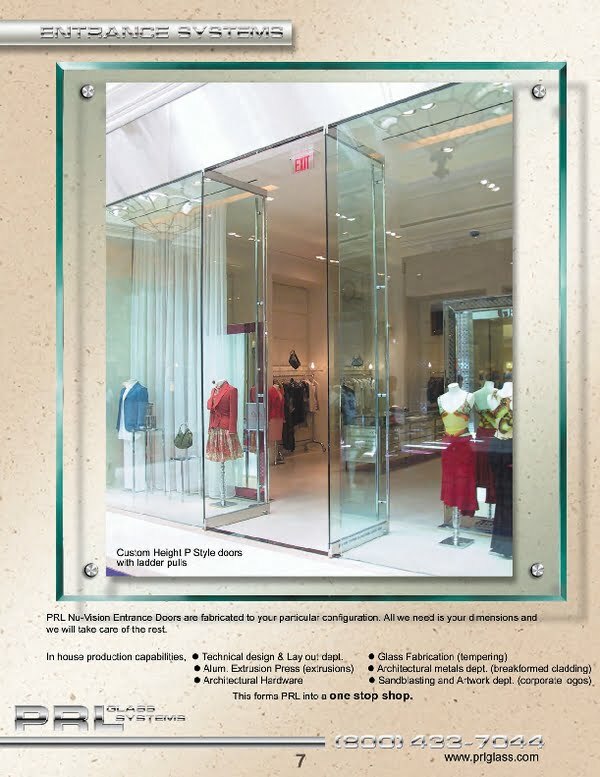 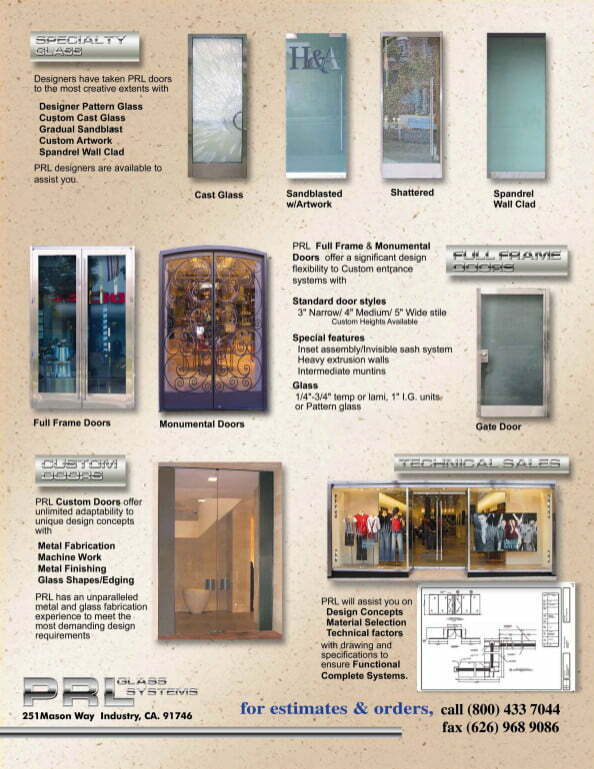 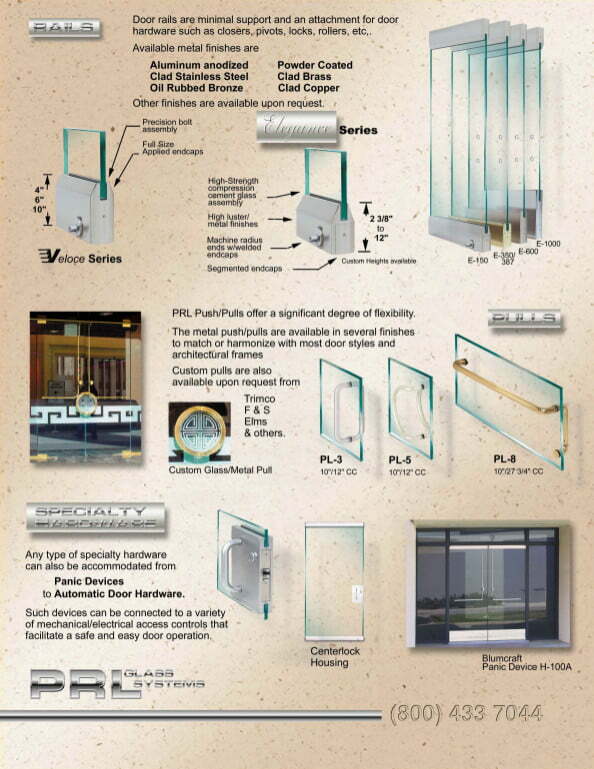 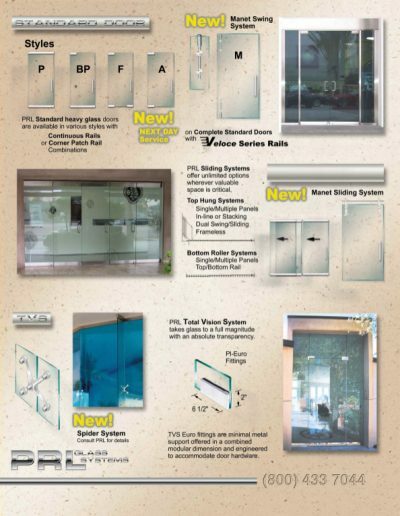 PRL Glass Systems, Inc. is a glass entrance door manufacturer based in City of Industry, California. We deliver tempered glass entrance door systems complete with all the hardware ready for installation. 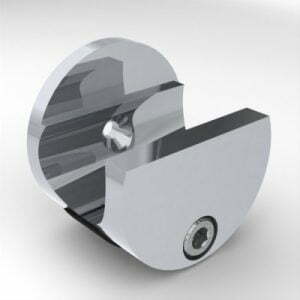 PRL is known to have the fastest lead time in the Industry. 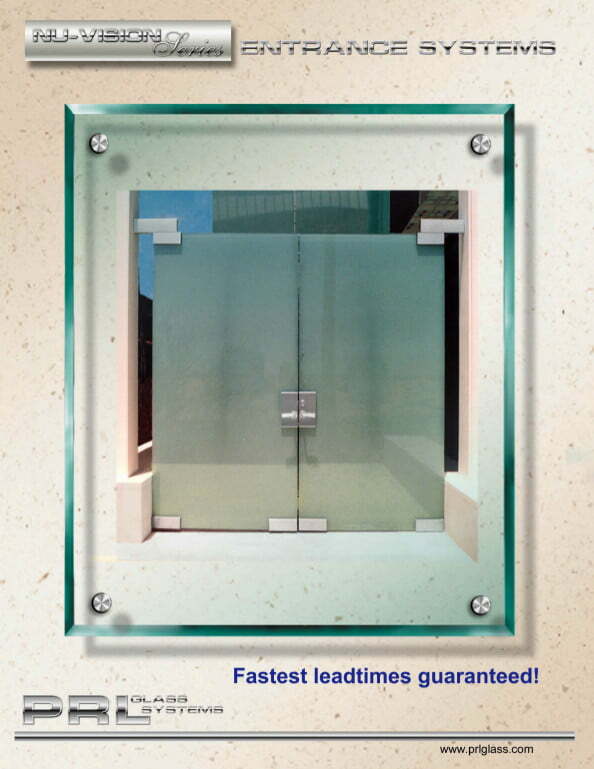 We provide complete and assembled glass entrance systems.